At Walter's Audi in Riverside, California we strive to meet and exceed the expectations of every customer in order to make your luxury vehicle purchase or service experience an enjoyable one. Our staff at Walter's Audi knows that happy customers are repeat customers so we work hard to earn your business and bring you in to the Walter's Audi family. Walter's Audi, a Walter's Automotive Company. Call or stop in today and allow us to demonstrate our commitment to excellence. At our Audi dealership, we proudly provide customers with only the very best vehicles. If you're an Inland Empire Audi shopper in the market for a new SUV, then look no further than Walter's Audi. We've got every new Audi model available on our lot. Stop by our showroom to get a firsthand look at one of our many top-rated vehicles, such as the Audi A3 and the Audi Q5. At Walter's Audi, a leading Audi dealer serving Orange County and the Inland Empire, we offer the latest and greatest from the Audi lineup. Drivers come to us for reliable, competitively priced vehicles along with some of the best financing around. Contact us today at 888-904-4831 to schedule a test-drive in any of our new vehicles, including the Audi Q7 SUV or the Audi TTS Coupe. Our staff is dedicated towards putting you behind the wheel of the vehicle you've always dreamed of. 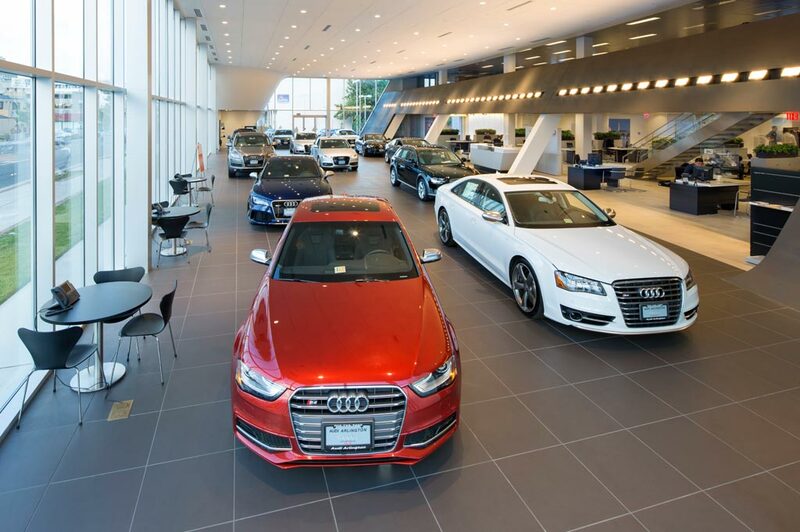 Our Audi dealership serves areas such as Riverside, Corona, Redlands, Moreno Valley and many more and is located at 3210 Adams Street, Riverside CA 92504. Whether you are looking for a new or used car, need service, or a low interest loan in Riverside CA, Walter's Audi is here to serve your needs. Our knowledgeable and experienced staff is committed to making your purchase as easy as possible. We've been serving Inland Empire Audi and Orange County Audi shoppers for years. Contact or Visit us today at Walter's Audi in Riverside, CA for unparalleled service and selection. Walter's Audi in Riverside, CA treats the needs of each individual customer with paramount concern. We know that you have high expectations, and as a car dealer we enjoy the challenge of meeting and exceeding those standards each and every time. Allow us to demonstrate our commitment to excellence! Our experienced sales staff is eager to share its knowledge and enthusiasm with you. We encourage you to browse our online inventory, schedule a test drive and investigate financing options. You can also request more information about a vehicle using our online form or by calling (888) 567-6428.